Sara Rivers-Cofield always planned on pursuing archaeology. Her background prepared her for it. She bagged a bachelor’s in history and anthropology at Murray State University and a master’s in applied anthropology at the University of Maryland. 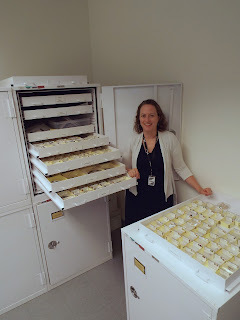 She landed a position working in collections after doing seven years of fieldwork. After working on a conservation assessment at Historic St. Mary’s City, Rivers-Cofield found herself in the “right place, right time” when there was an opening at the Maryland Archaeological Conservation Laboratory (MAC Lab) at Jefferson Patterson Park & Museum in St. Leonard, Md. 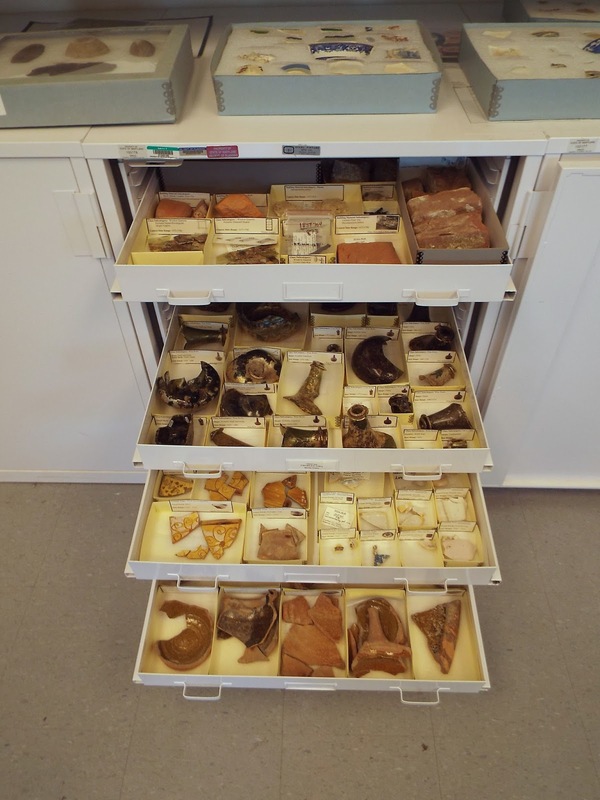 Rivers-Cofield is curator of federal collections at the MAC Lab, a repository for archaeological finds recovered from land-based and underwater projects conducted in Maryland. And while Rivers-Cofield said that the often-funded fieldwork is important in all concentrations, she stresses that the collections themselves ought to be the big picture. Of MAC Lab’s 8.5 million artifacts, Rivers-Cofield is responsible for the 10 percent that are considered part of the federal collection as well as interfacing with 18 federal clients. Artifacts range from 9,000 years ago to the 20th century. The remaining 90 percent of the collection - from sites “representing the full period of human occupation in Maryland,” Rivers-Cofield said - are overseen by only two other employees, Rivers-Cofield’s state curator counterpart, Rebecca Morehouse, and collections assistant Erin Wingfield. That collection’s artifacts range from 12,000 years ago to the 20th century. Fig.2. 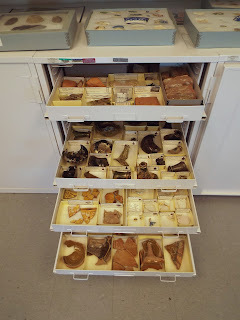 Part of the MAC Lab's collection. In terms of geological locations represented, Rivers-Cofield said while every Maryland county is represented in the repository, the collections are primarily from areas of high development. Areas that have seen a lot of growth in recent decades, such as Southern Maryland’s Charles, St. Mary's and Calvert counties, are well represented in the repository. “We also have major collections from the D.C. suburbs of Prince George's and Montgomery (counties), the Frederick area, Baltimore, Anne Arundel County and Annapolis,” she said. But, Rivers-Cofield said, collections research requests are the lab’s No. 1 priority. “We really rely on the other researchers to come to us,” she said. And some of those research requests might surprise you. They even surprised Rivers-Cofield. Environmental scientists looking at the rise and decline of oyster shells have used their collections, paleontologists studying microorganism fossils in limestone and others have come to scour the MAC Lab repository. “If more people are aware what’s there in other professions, they’ll be able to apply it to their research,” Rivers-Cofield said, noting the importance of interdisciplinary outreach in scientific research. For more information about the MAC Lab, visit http://www.jefpat.org/mac_lab.html. To access the collections, contact the staff. More information can be found here.